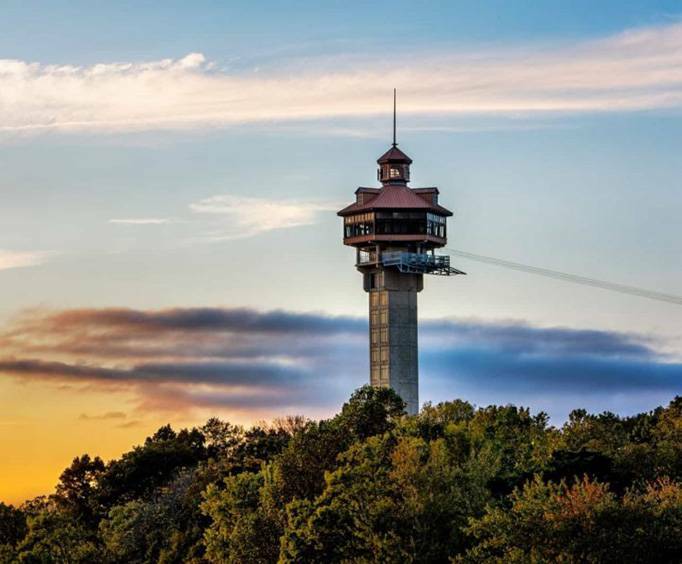 This 'Landmark on the Horizon' is located at Inspiration Point at the Shepherd of the Hills Homestead, and was constructed in 1989 to celebrate the century anniversary of Shepherd of the Hills author Harold Bell Wright's first visit to the Ozarks. 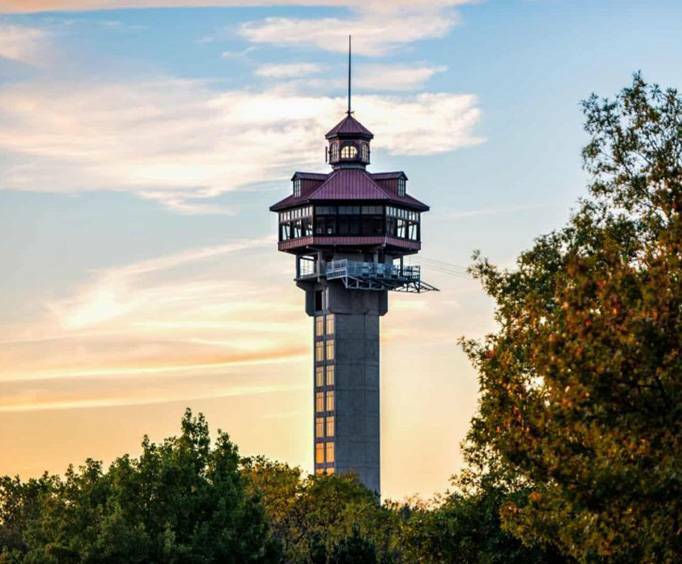 During your visit to the tower, you can browse the gift shop and grab a quick snack at the concession area before ascending high to the top of the tower aboard incredible glass elevators. On a clear day, you'll be able to see more than 90 miles out into the horizon! 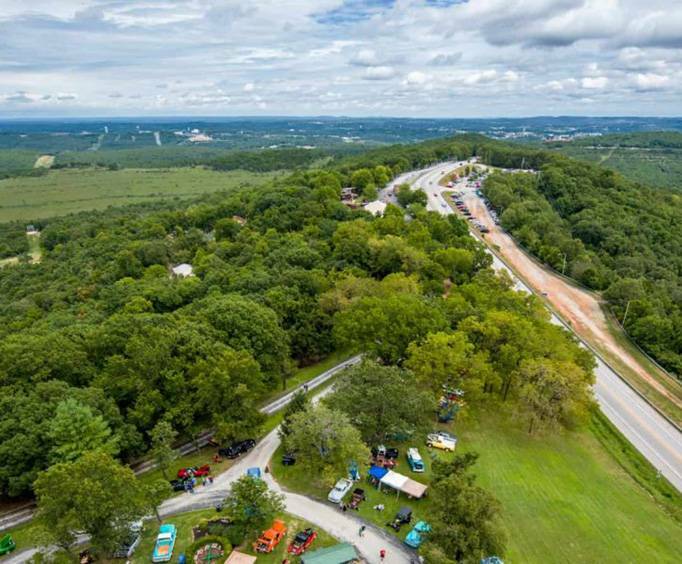 The spectacular panoramic views from Inspiration Tower are unarguably the best in the Ozarks, so be sure to bring your camera to capture these images forever. Inspiration weighs 3 million pounds, cost approximately $1.5 million to build, contains over 92,000 pounds of structural steel, and can withstand a constant wind of 172 mph or gusts of up to 224 mph! A convoy of 43 concrete trucks filled the tower foundation, which contains five miles' worth of rebar weighing 34.5 tons. The tower also contains over 4,400 square feet of glass - enough to cover a third of a football field! Two glass elevators transport visitors to the spacious, enclosed observation deck. This was so much fun for both me and my son. The best time to go is early in the morning because there is no crowds and you can take your time looking around. The view was excellent from the top of the tower but as i don't zip line, this was of little interest to me.